If you need razors, this is your week to shop! 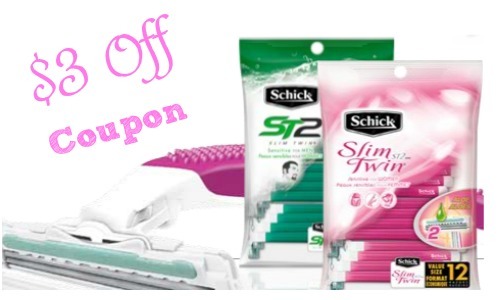 You can stock-up on Schick Razors at Walgreens starting 7/24. Grab razors for as little as $2.32. Be on the lookout for a high value $3 off coupon in your Smart Source insert coming out Sunday too. –like getting it all for $6.97 or $2.32 ea.